Loosening the ties, James Beard Award-winning chef Michael Schwartz introduces Cypress Tavern, an American grill and cocktail bar rooted in top notch food and service with an old world sensibility in Miami’s Design District. Schwartz evokes the simplicity of classic brasserie fare for Dinner and weekend Brunch, with menus that go back to basics and play to a classy, lively experience. The new restaurant will open at 3620 NE 2nd Avenue on Thursday, October 29. The Tavern’s menus were developed by chef Schwartz and The Genuine Hospitality Group executive chef Bradley Herron to offer a variety of what Cypress’ kitchen does best presented in an approachable way and at a great price point. Dinner includes Appetizers, Entrées, Large Plates and an expanded Sides section from the wood burning grill and rotisserie. 12 Appetizers range from $12-19. In addition to Oysters on the 1/2 shell with classic mignonette (1/2 dozen 18, dozen 36), highlights are Wood Grilled Giant Prawn with garlic butter and grilled lemon (PA), Citrus Cured Wild Salmon with marinated cucumbers, trout roe, crème fraîche (18), Duck Confit with French lentils and bitter greens (18), and decadent French Onion Soup with melted gruyere on grilled sourdough and presented in a warm lionshead crock (12). Favorites are executed simply, like Marrow Bones with preserved lemon, celery and garlic toast (18) and Steak Tartare with pickled shallot, salsa verde, and potato chips (18). 11 Entrées range from $21-44. Schwartz’s favorite fish, Albacore Tuna, is served Niçoise style (29), Snapper Meunière is tried and true at its freshest, with whipped potato and wilted greens (34). The Cypress Burger dials in its blend of chuck and dry aged trimmings, seared to perfection and melting into Jasper Hill Landaff and onion marmalade on Schwartz’s housemade bun, with thrice cooked fries to the side (22). 1/2 Spit Fired Chicken with crispy new potatoes and smoked paprika aioli (28), a 12 oz. NY makes for solid Steak Frites with salsa verde and thrice cooked fries (44) and Grilled Market Vegetables with sprouted chickpeas, bitter greens, and chermoula sauce (21) show off the best of the kitchen’s wood grill. Old school Pork Schnitzel meets braised red cabbage and mustard sauce (29). Large Plates conjure delicious notes from the wood fired grill, offering a Daily Rotisserie (PA), Whole Wood Grilled Local Fish (44) with roasted chile salsa and a 42. oz. Dry Aged Porter House (96) with bordelaise and béarnaise sauces, each served with a choice of Side. All bases are covered (also served a la carte for 10 ea) – Thrice Cooked Fries, Wood Grilled Mushrooms, Whipped Potatoes, Leeks Gratin, Sautéed Swiss Chard, and Wood Grilled Asparagus. On the weekends, 18 Savory ($8-22) plates escalating in size offer guests flexibility to craft their Brunch experience, whether it’s starting with oysters and the Lobster Omelet with fine herbs (15), or Bibb Lettuce Salad with heirloom tomato, radish, black olive, and creamy Meyer lemon dressing (8) and Eggs en Cocotte with spicy tomato, chickpeas, cilantro, scallion and grilled sourdough (14). Today’s Rotisserie (18) features a special spit-roasted protein, like lamb shoulder, served with roasted potatoes and Meyer lemon salsa verde. Extras (8) including thrice-cooked fries, breakfast sausage and wood grilled asparagus are there when you need them. Seven Sweet ($8-19) dishes delicately touch on all the brunch sweet spots like French Toast with fig compote, pistachio, and crème fraîche (12) and Buttermilk Pancakes with smoked Maldon salt, whipped butter and maple syrup (11). The Chocolate Pot de Crème is a silken stunner, served with toasty, sugared brioche cubes. In addition to a solid beer (3 tap and 9 bottles) and wine (50 bottles) list, The Genuine Hospitality Group Wine Director Eric Larkee takes full advantage of Cypress Tavern’s bar, introducing 10 drinks – including a speckling of Bloody Mary’s and festive sparkling numbers for brunch. In an intelligent mix of classics with some twists, cocktails will include US1 & 75th, the French 75 at its finest with Borgoluce Prosecco, Michter’s US-1 Bourbon, lemon, and simple syrup, and the Dirty Pickle, a martini-lover’s paradise featuring Hendrick’s Gin or Beluga Vodka with cornichon brine and smoked Maldon salt. 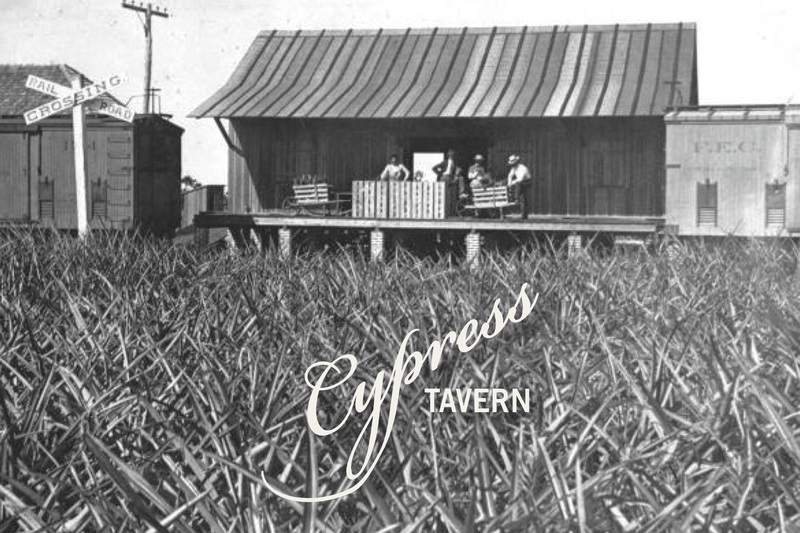 Cypress Tavern opens Thursday, October 29 at 3620 NE 2nd Avenue and is now accepting reservations at reservations@thecypressroom.com and 305.520.5197. Menus are available to preview through a link at thecypressroom.com. Hours of operation at opening will be Dinner Tuesday through Thursday from 6-11 p.m., Friday and Saturday until 12 a.m., and Sunday until 10 p.m, and Brunch Saturday and Sunday from 11 a.m. – 2:30 p.m. Closed Monday. $5 Design District Valet is available, as well as street parking in the city lot in between 37th and 38th street.